But seriously, when a sewing machine acts up, what are the first things to check? Needles are the easiest and cheapest part of a sewing machine to change yet is makes up 50% of seam. Without a new needle a sewing machine can not work correctly. End of discussion. Sewing machines need weekly if not daily removable of lint and fluff from underneath the throat plate. First, remove the throat plate and bobbin case to expose areas that lint gathers. Using a brush or a Q-tip, remove all visible lint and dust bunnies. If the machine requires oil, add a drop of oil after cleaning. Do not use canned air. We found this FREE Craftsy class Sew Ready: Machine Basics with Amy Alan to be extra helpful for new sewers. Don’t let broken needles or skipped stitches ruin your sewing! 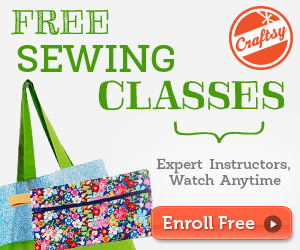 Learn how to fix common sewing machine problems in this free Craftsy class. If there are huge loops on the back of the fabric, the problem is that the top thread is not in the tension disks. Be sure to thread the machine with PURPOSE. No wimpy threading! Firmly seat the thread in each groove and guide of the machine. If the machine is not threaded correctly it will not sew. Sewing machines like good thread. How can you tell if thread is good? Thread that is from Grandma’s sewing box from the 1950’s is old. Thread that is 2/$1.00 is not great thread. 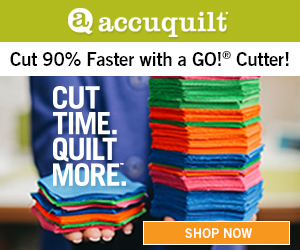 Purchase thread from a quilt store or a store that sells sewing machines to be sure it is quality thread. Sewing machines can run on low quality thread, but remember, thread makes up the other 50% of the seam. Are you sure it’s going to hold together after a few washings? Don’t take the chance. Always use good quality thread. Your sewing machine will thank you and you will have less headaches. The bobbin too has its own tension. If the bobbin thread is not in the its tension, the stitch will look unbalanced. Be sure the bobbin thread “clicks” into bobbin tension. Just like cars, sewing machines need regular tune-ups. Having a local sewing machine center professionally clean your sewing machine will help with many troublesome issues. Sewing machine technicians know how to keep all those moving parts perfectly aligned for precision stitching. If you want your sewing machine to last, have it serviced on an annual basis. With so many different brands of sewing machines all taking a difference size of bobbin, it is easy to accidentally be using the wrong size. Just because a bobbin is plastic does not mean it will fit your sewing machine. If you are unsure if you are using the right size of bobbins for your machine, take the sewing machine to a local sewing machine service center. They will be happy to confirm that you are using the correct size. If you have not had your machine serviced within the last year or two, have them service it while it is there. Sounds simple but not getting the needle all the way up into position will make stitches not form correctly. This problem is often hard to spot. Loosen the needle screw and gently lift the needle up. Another way to check is by using the built-in needle threader. If the needle threader does not line up with the needle’s eye, the needle is not high enough. Thicker thread must go through a bigger needle. A needle’s groove down the front of the needle must fit the thread size. Small needles and thick thread are a bad combination. Check the sewing machine’s throat plate opening for needle strikes or small rough nicks. If you have been breaking needles lately, there may be small burrs on the throat plate. Thread can get caught on these rough areas which leads to thread breaks or uneven stitching. A sewing machine technician can usually file these rough spots out. These ten troubleshooting suggestions usually can fix the common sewing machine problems. Beyond these simple fixes it might be time to call a professional. Sewing machine service technicians are trained to spot common problems. They see sick machines every day. If your sewing machine has reached the end of its life, say a short prayer and than SMILE…you get to go shopping for a NEW sewing machine! Check out a variety of sewing machine and embroidery machine videos on SewingMastery to find which features are a must-have on your future machine. Oh, how I wish SD and FL were closer together! You have the very most helpful and professionally run business I have EVER encountered. Even as far apart as we are, what all of you do and how you do it makes my sewing life grand. Thank you for accepting long distance students and customers. My Husqvarna and Ihave been promised a visit this coming summer. Crossed fingers. I have broken every needle I have bought. I will double check for the hight and the burs, etc., but is it possible (as a serious novice) I bent or shifted something in the needle mechanism? Hi, If you are breaking needles all the time it is time to have your local sewing machine service center realign your machine. I’m very new at this and I was trying to embroider a 100 x 100 hoop and a message popped up that said to be sure I had the right size hoop, which I did, and to make sure the hoop was in the machine, which it was. What can I do?